Can I leave my worm farm unattended for several weeks? 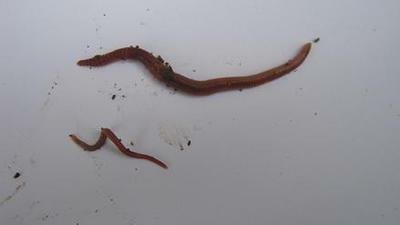 For how long can I leave my worm farm unattended before the lives of my worms might be threatened? Due to my line of work I am quite often away from home. This ranges from just a few days to up to 2 weeks. Iv’e played for years with the idea of running a small worm farm in my kitchen at home to recycle all my food- and kitchen waste, but am concerned that my regular absence might kill the worms in the farm. I am vegetarian an am producing 15 to 20 liters of food scraps every 2 to 3 weeks. I would be grateful for any advise. Luckily composting worms are quite frugal and it is usually quite ok to leave a well set up worm farm for several weeks unattended. 1) You should add ample amounts of food- and kitchen waste to your worm farm to ensure that the worms will have enough material to recycle while you are away. 3) You have to make sure that the worms will be protected against extreme temperatures. Once your worm farm is prepared this way you will be able to leave your worms for 3 to 4 weeks minding your own business while they are happily recycling your organic waste materials in their worm bin. and it will give you more in depth information on how to make sure that your worms will stay alive while you are on an extended holiday- or business trip.